Hi everyone!! Happy Saturday! Today my second post went up over at the Noel Mignon blog! I have been having so much fun with this kit, I still have a few more projects to share over the course of the month! Here is my layout for this week, again using the Our Summer kit. This is too cute! 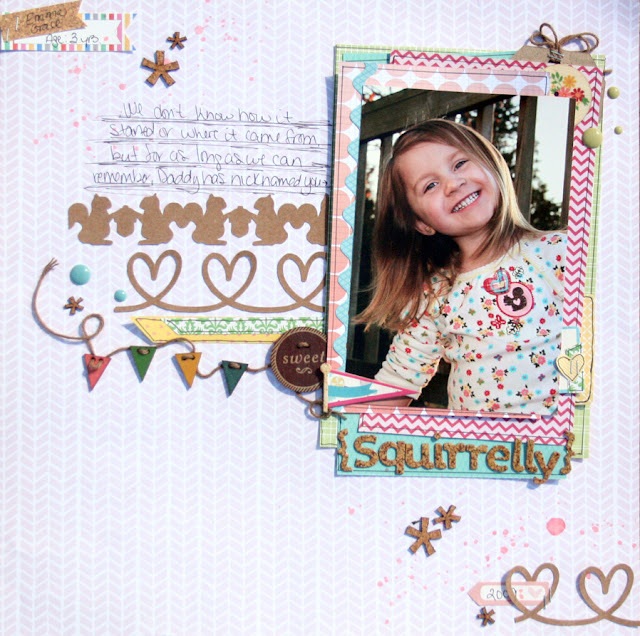 I love the squirrel banner and all the layers, such a cute title too! Such cute little doodle cuts!